A funny rhyme this time. 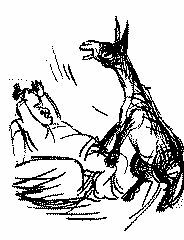 Mojar Desh (Strange (Funny) Land) was written by Jogindranath Sarkar about a century earlier, and yet, reading between the lines of this poem, one finds a picture that perfectly describes the nonsensical situation that now prevails across the greater Bangla. The poem was written for children, but is no less in meanings for adults. So for you and your little ones, this little piece of nonsensical humor. Have fun reading! রাত্তিরেতে বেজায় রোদ, দিনে চাঁদের আলো ! ডাঙ্গায় চরে রুই কাতলা জলের মাঝে চিল ! ছেলেরা খায় ‘ক্যাস্টর-অয়েল’ -রসগোল্লা রেখে ! অন্ধকারটা সাদা দেখায়, সাদা জিনিস কালো ! মুখে লাগাম দিয়ে ঘোড়া লোকের পিঠে চড়ে ! বড়শি দিয়ে মানুষ গাঁথে, মাছেরা ছিপ্ ফেলে ! কচুরি আর রসগোল্লা ছেলে ধরে খায় ! পায়ে ছাতি দিয়ে লোকে হাতে হেঁটে চলে ! ডাঙ্গায় ভাসে নৌকা-জাহাজ, গাড়ি ছোটে জলে ! চোখ খুললে যায় না দেখা মুদলে পরিষ্কার ! A poet from Chittagong, Abdul Hakim composed his works in the 18th Century – a time when only those versed in Sanskrit, Farsi or Arabic were considered to be educated. 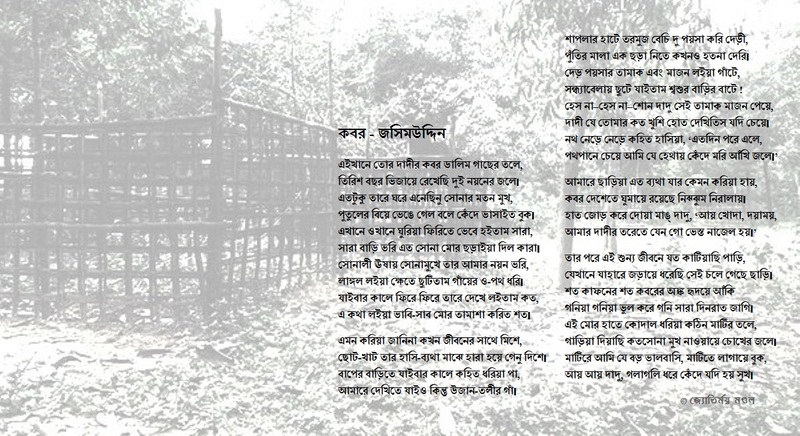 Bangla’s relegation to a lower status may have provoked Hakim to write the poem Bangabani (Bangla’s Words). Regardless of whether that is the case, three hundred years later, as the ‘educated’ Bangalee folk veer towards languages and literary traditions other than their own, the words of the poem ring truer than ever. Hence this post. 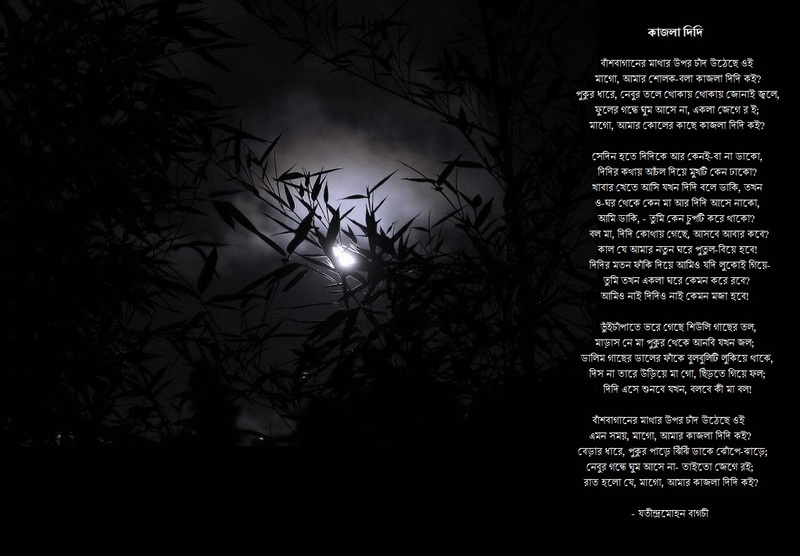 In presenting Bangla literary works on this site, I try to keep myself from posting works that have a negative tone. 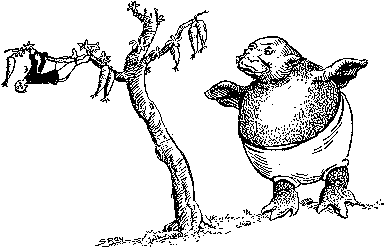 This time, though, I make an exception in posting Abhishap Dichchhi (I Curse Them), for those who try to silence the pen with their swords deserve little more than curses. 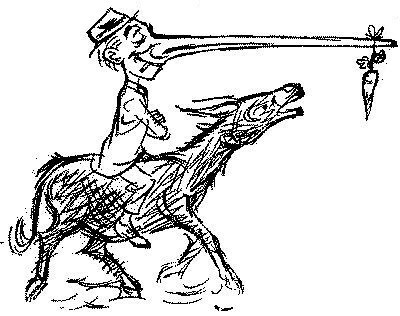 As Bangalees, we know too well how much of a rumor-mongering, hype-inducing nation we are. Yet, we do little to change it. Making mountains out of molehills and then working up a rage about those rumors seems to be intrinsic to us. And now that we are in the age of Facebook and Twitter, can anyone stop themselves from taking part? From rants in Facebook to false news in social and even print media, rumors and rage seems to be spreading at relativistic speeds. Shamsur Rahman had once identified our ‘hujuge’ tendencies in his poem Pandoshrom (Energy Wasted) prior to the digital age. A mark of the wonderful poet he is, the poem has only grown in relevance over time. কান গেলে আর মুখের পাড়ায় থাকল কি-হে বল? ডানে-বাঁয়ে ছুটে বেড়াই মেলান যদি প্রভু! কানের খোঁজে মরছ ঘুরে সোনার চিলের পিছে? ঠিক বলেছে, চিল তবে কি নয়কো কানের যম? To Bangalees in Bangladesh, the number ’26’ bears a special significance. After all, it was on this day of March in 1971 that Bangladesh was declared independence. This piece happens to be the 26th of the poetry-related posts on this blog. 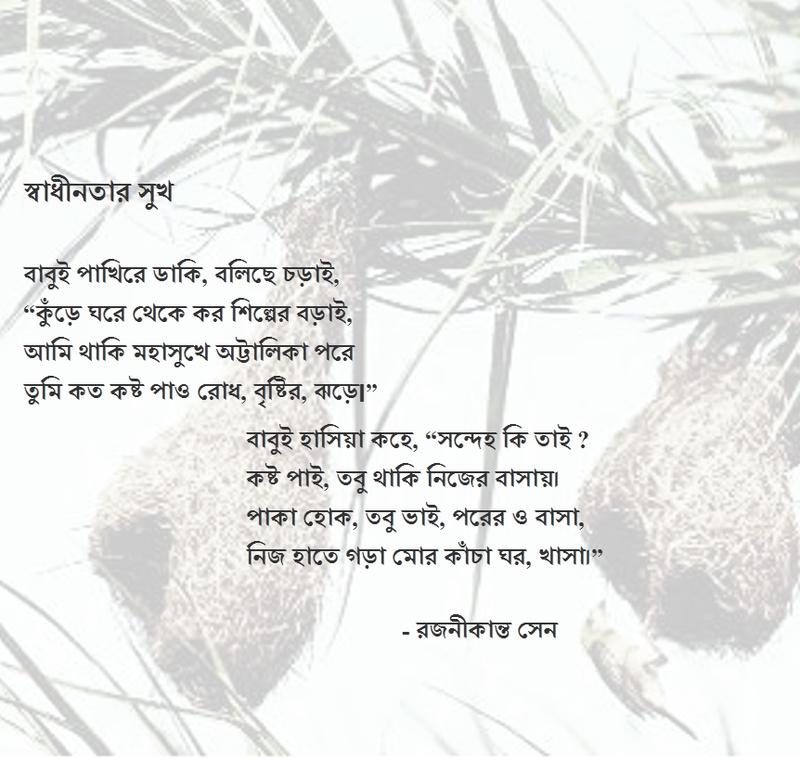 So in remembrance, here is Swadhinata Tumi (An Ode to Independence), a poem written by one of the greater Bangalee poets of the modern era – Shamsur Rahman. Dui Bigha Jomi (Two Bighas of Land) is perhaps one of the most famous poems in Bangla literature. Written from the perspective of a farmer who was displaced from his land by a landlord, the poem depicts the centuries-old cycle of oppression by the powerful on the farmers of not only rural Bengal, but perhaps in societies across the the world. Dui Bigha Jomi is the tale of a man who has lost it all, and so descriptive of rural Bengal that it is a must-read for every Bangalee. কত হেরিলাম মনোহর ধাম, কত মনোরম দৃশ্য! নমোনমো নম সুন্দরী মম জননী বঙ্গভূমি! ধিক্‌ ধিক্‌ ওরে, শতধিক্‌ তোরে, নিলাজ কুলটা ভূমি! যখনি যাহার তখনি তাহার, এই কি জননী তুমি! আঁচল ভরিয়া রাখিতে ধরিয়া ফল ফুল শাক পাতা! তুই হেথা বসি ওরে রাক্ষসী, হাসিয়া কাটাস দিন! কোনোখানে লেশ নাহি অবশেষ সেদিনের কোনো চিহ্ন! কল্যাণময়ী ছিলে তুমি অয়ি, ক্ষুধাহরা সুধারাশি! প্রাচীরের কাছে এখনো যে আছে, সেই আমগাছ একি! ভাবিলাম হায় আর কি কোথায় ফিরে পাব সে জীবন! তুমি মহারাজ সাধু হলে আজ, আমি আজ চোর বটে! 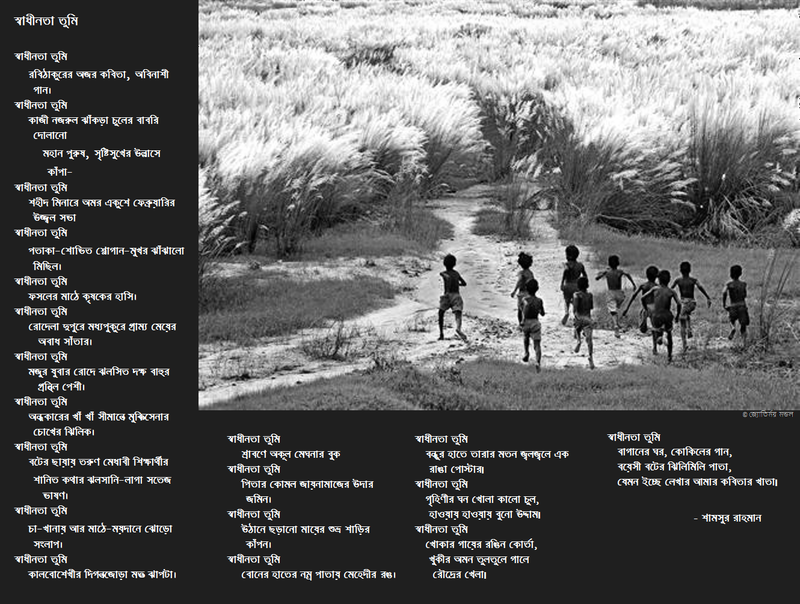 This time, a famous Bangla poem – Swadhinatar Sukh (The Joy of Independence). Written by Rajanikanta Sen, this poem is a celebration of the freedom and self-respect of which only those who stand on their feet know, and a reminder of what to strive for to those who are yet to stand on their own. বাবুই হাসিয়া কহে, “সন্দেহ কি তাই ? “Look where I live – a mansion, no less! While your nest barely shields you from the wind and the rain. my house is mine and mine alone. This time, a collection of rhymes by one of the pioneers of modern Bangla youth literature. Sukumar Ray wrote his poems about a century ago. Yet, they continue to inspire childish joy among young and adults alike, and if you read just right, reveal a lot about us and our society. Consider this to be in celebration of the ridiculous but meaningful. চার পা তুলে থাকবে ঝুলে হট্টমুলার গাছে ! বেহাগ সুরে গাইবে খালি ‘রাধে কৃষ্ণ রাধে’ ! তিনটি বেলা উপোস করে থাকবে শুয়ে ঘাসে ! ভুলেও যেন আকাশ পানে তাকায় নাকো মোটে ! শক্ত ইঁটের তপ্ত ঝামা ঘষতে থাকে নাকে ! “বাপ্‌রে” ব’লে ব্যাং বাবাজি গর্তে ঢোকেন ত্রাসে! “বাস্‌রে বাস্‌! হাতির গায়ে এমন জোরও হয়”! দুটো সাপ রেখে যা ! দুইখানা সেই আপনি খেল ক’ষে! গেল সে তার মায়ের কাছে চলে! আনছে কিনে নতুন ঘুড়ি দুটো! কেউ না করে তোয়াজ তবু, সংসারের কি রীতি ! যখন তখন ঘুমোচ্ছে সে লাটসাহেবের মত ! আর কি গাধা ঝিমিয়ে থাকে ? অমন ধারা ধমক দিলে কেমন করে শিখব সব ? কেউ কি জানে দিনের বেলায় কোথায় পালায় ঘুমের ঘোর ? বর্ষা হলেই ব্যাঙের গলায় কোত্থেকে হয় এমন জোর ? গাধার কেন শিং থাকেনা, হাতির কেন পালক নেই ? গরম তেলে ফোড়ন দিলে লাফায় কেন তাধেই ধেই ? সোডার বোতল খুললে কেন ফঁসফঁসিয়ে রাগ করে ? কেমন করে রাখবে টিকি মাথায় যাদের টাক পড়ে ? ভূত যদি না থাকবে তবে কোত্থেকে হয় ভূতের ভয় ? মাথায় যাদের গোল বেধেছে তাদের কেন “পাগোল” কয় ? কতই ভাবি এসব কথা, জবাব দেবার মানুষ কই ? This time, a resolution by Nazrul. Not for those who gossip or the faint of heart, but for those who are curious and firm in their pursuit of knowledge. 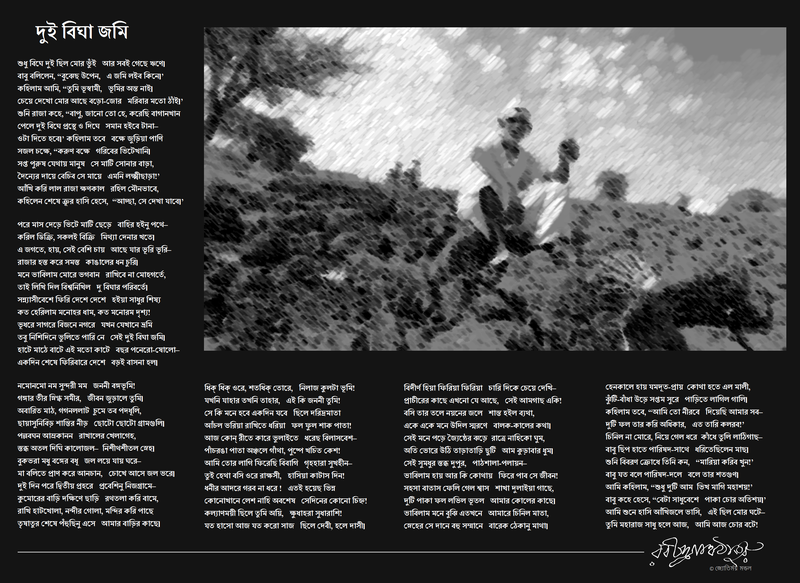 Sankalpa (Resolution) is very much a poem for the youth. তুরস্ক ভাই কেমন করে কাটল শিকল রাতারাতি! This time, Rabindranath’s tuppence on the hypocrisy of those who benefit from the status-quo. Kutumbita Bichar (Relations) was collected from Thakur’s famous work, Kanika. কেরোসিন বলি উঠে, এসো মোর দাদা! 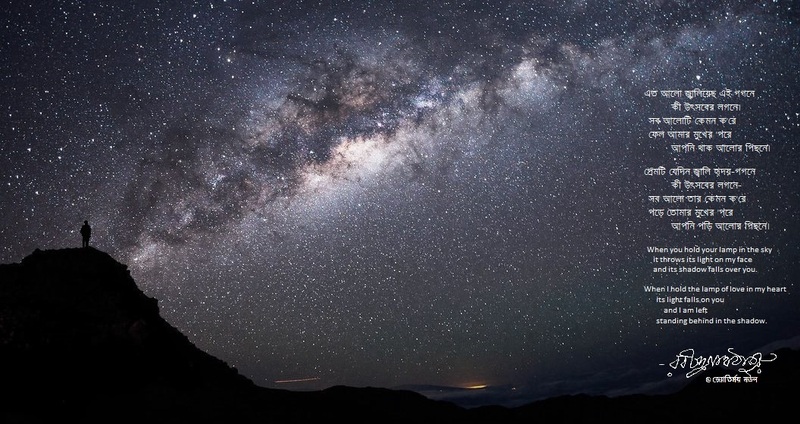 For those who feel small in front of the insurmountable mountain that is life, a comforting poem by Rabindranath, which reminds us of the infinitely bigger Presence who holds us in His arms. Mahabishwe Mahakashe (In This Universe). 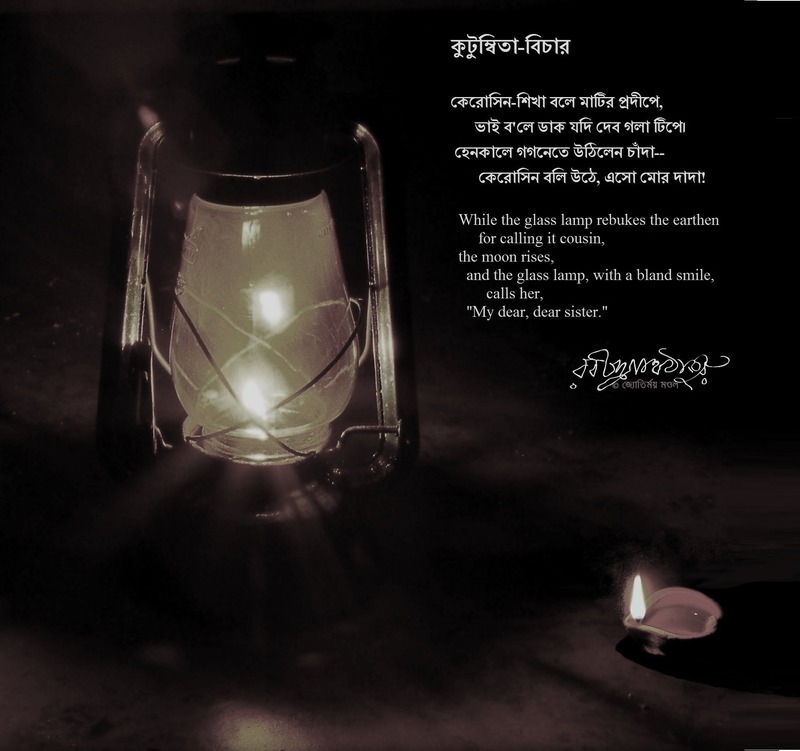 Of the Bangla poems that touch the heart of the reader, Kabar (Graves) occupy a special place. 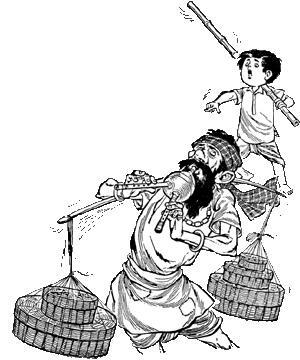 One of the most famous works of Jasimuddin, the Rural Poet, the poem is a monologue of an old man to his grandson, which describes the idiosyncrasies of the deceased in loving detail, and narrates the tragic circumstances of their passing. 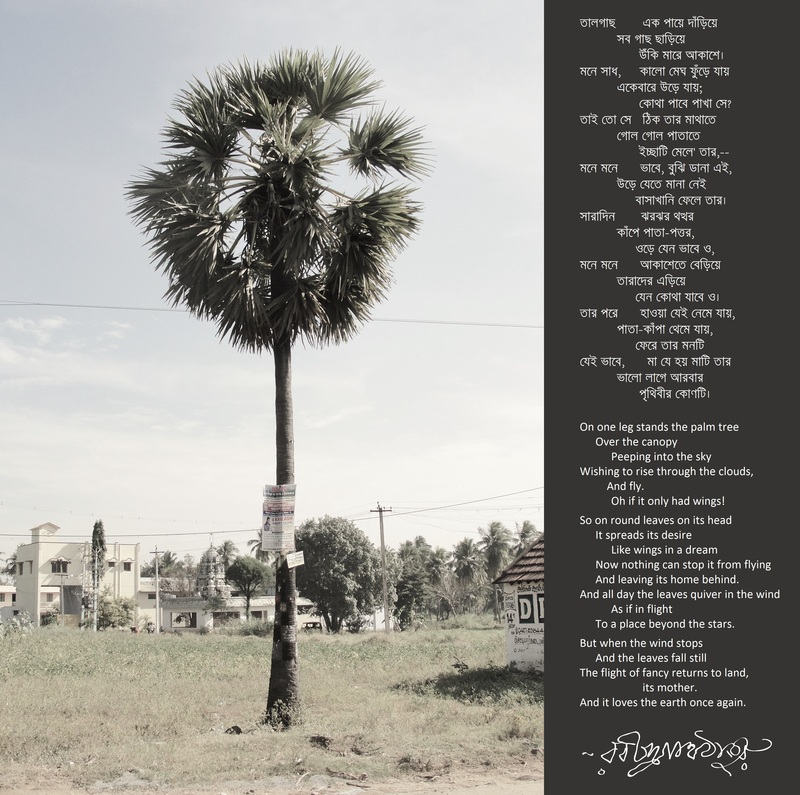 More than a poem of bereavement, Kabar is also a window into the life in rural Bangladesh framed with love and sadness – which makes it a must read for every Bangalee. 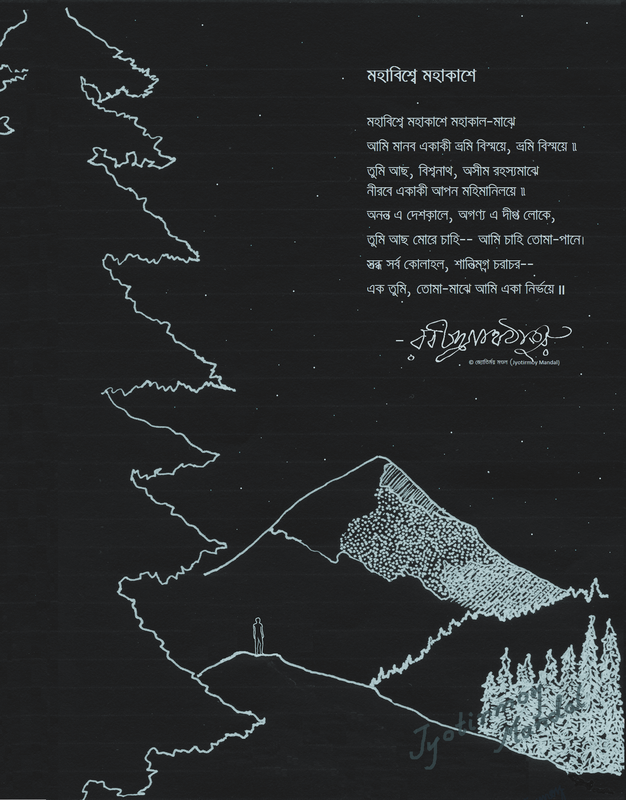 For the times when one must make the journey alone, a poem by Rabindranath Thakur. A translation by the Kabiguru himself is provided below. Dreams, seemingly of a palm tree, but in truth, of us all… A playful rhyme for little ones, with a meaning deep enough for the biggest among us. Who else but Rabindranath Thakur could have penned this? A modified (and hence cruder) version of a translation from Indrani Ghose’s blog, follows. Oh if it only had wings! And leaving its home behind. To a place beyond the stars. And it loves the Earth once again. In Two verses by Rabindranath Tagore, a deep longing for God that transcends most religious boundaries – a translation from the Kabiguru himself, and a second cruder one, follows. Have you come to me as my sorrow? All the more I must cling to you. Your face is veiled in the dark, all the more I must see you. At the blow of death from your hand let my life leap up in a flame. Tears flow from my eyes,-let them flow round your feet in worship. And let the pain in my breast speak to me that you are, still mine. -Translated by the poet himself. I shall not fear, and hold You dearly where it hurts. And if You appear as death, yield at Your feet. However You come to me, O Lord, I will be unafraid. Of Your firm hands holding me onto the refuge of Your heart. I seek nothing else, O Lord, only to gaze at Your Face.